This is a fun way to clean your little one up after they've devoured their birthday cake during their smash cake session. A warm bubble bath is a great place for your little to splish splash away. I will capture even more fun expressions while they enjoy a sudsy clean up. 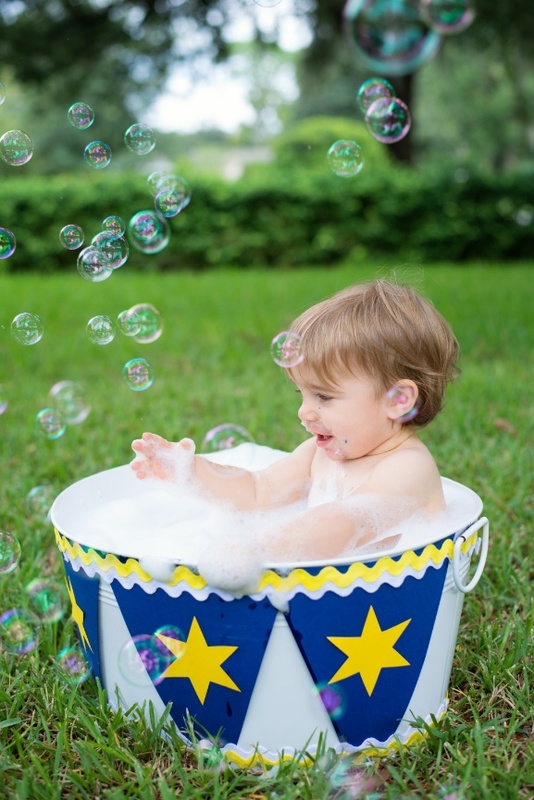 You will get (1) 5x7 with this session and I have several wash tubs in various colors to pick from. PLEASE NOTE: this can only be purchased if you are purchasing the 12 month smash cake session.